Lettuce can be planted year round, the loose leaf varieties are particularly adaptable, most of the heading varieties are best not planted in summer except for Great Lakes and a few others which cope better with hot weather. The best results are when they are planted as cool season plant, they like a well drained soil with lots of organic material. In the veggie garden prepare the soil 2 – 3 weeks before planting. 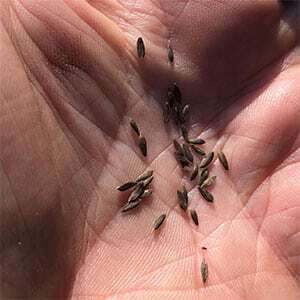 You can sow seed directly, although it is often faster and easier to start the seeds off in containers and plant then out around 3 weeks after germination. This means that he plants will be large enough to survive slugs and snails. If you are going to grow them on in large containers, you can choose to sow directly. With so many different varieties of lettuces available it is easy to have fresh lettuce leaf available for most of the year. Lettuces can be grown in the ground, or try growing lettuces hydroponically. The seeds can be planted in trays filled with compost, two to three seeds in each cell is enough. You can also use small garden pots. Fill the trays with compost, water it lightly and then place the seeds on top. Use a moist stick to pick up individual seeds if needed. Sift some compost over the top, water lightly and leave the tray in a sunny position. Water lightly every day, just enough o keep the seeds moist. Once the seeds germinate, use a little liquid seaweed fertiliser for watering. Around 3 weeks after germinating you can plant he seeds out at around 20 cm apart depending on variety. Keep the soil moist, watering once or twice a week depending on soil and rainfall. You can use a little nitrogen rich fertiliser about 2 – 3 weeks after planting out. Mulch around the plant with a fine pea straw, sugar cane mulch or similar. 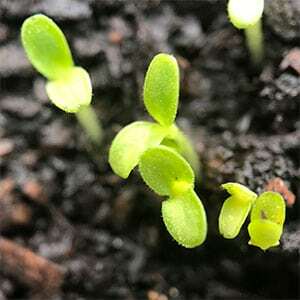 Although you can start from seed and plant out, you to buy seedlings. You do need a good humus rich moist soil, sun in the morning and in the afternoon a little shade especially as summer comes around. Prepare the soil by digging in some aged cow manure. Mulch around the plants to keep moist and control weeds. The time from planting seeds to harvesting will depend on variety. Cos around 10 weeks although you can start using the outer leaves earlier. Loose leaf types, around 5 weeks, and you just pick the leaves as needed. Leaf lettuce is picked by removing outer leaves as you need them, You can do the same with Cos lettuce (romaine) and Butterhead lettuce, or you can cut at the base or remove completely. Criphead lettuces are picked by cutting at the base or removing. If you cut at the base you may get a second flush. Remember, an over mature lettuce is a tough one, so pick when young and fresh, stagger your sowings and consider growing lettuces using a wet pot system. 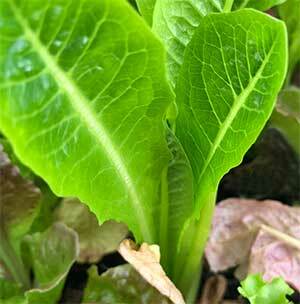 For the home garden we suggest Leaf Lettuces, Cos or Butterheads. The Crispheads tend to bolt and go to seed. And you can pick the other types a leaf at time. We have found that the wet pot system is great for growing lettuce and other salad greens.